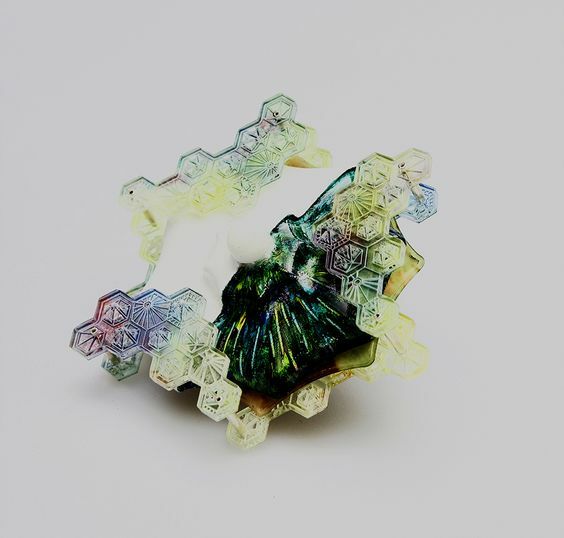 Preziosa is a cultural project, an annual exhibition dedicated to Contemporary Jewellery. Every year the artistic approach to the complex subject of jewellery is explored through a specific concept and with the selection of artists from the international scene. 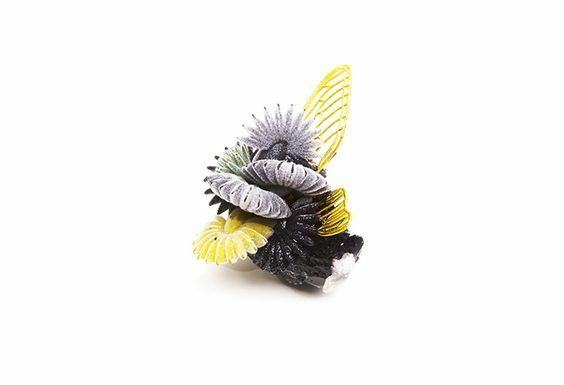 The project, imagined, managed and coordinated by LAO - Le Arti Orafe Jewellery School in Florence, started in 2005, and has quickly become one of the worldwide most important events devoted to contemporary jewellery. Since 2008 LAO has been organizing also PREZIOSA YOUNG contest, for all the young creaters from all over the world. From 24th to 28th May 2017 in the very heart of Florence, the “Oltrarno” district, among the Lungarni and Santo Spirito Square, LAO, Le Arti Orafe Jewellery School organizes PREZIOSA 2017-Florence Jewellery Week, a unique event in Italy. The exhibitions and all other moments of the event place the emphasis on the interactions between tradition and artistic research, manual skills and new technologies, and between the different meanings and symbolical values that jewellery can take on in different cultural and geographical environments. Arata Fuchi — Robert Baines — Sibylle Umlauf — Tasso Mattar — Danni Schwaag — LOD Metallformgivning — Erik Tidäng — Lena Jerström — Tobias Birgersson — Klara Eriksson — Petronella Eriksson — Pernilla Sylwan — Preziosa Young Contest 2017 – Fang Jin Yeh — Qian Wang — Shachar Cohen — Xiaodai Huang — New Iranian & Persian Jewelry- Group exhibition by students from the Mahe Mehr Institute Teheran — Kevin Murray — Martina Dempf — Maria Cristina Bergesio — Roberta Bernabei — Inger Wästberg — Shruti Agrawal — Maria Laura La Mantia. 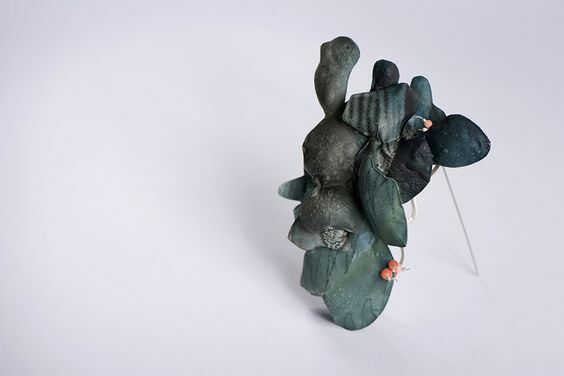 « The goldsmith Sibylle Umlauf sees her work as a metamorphosis, as a dynamic principle: She contrasts dark and hard iron with soft, shining and warm gold. 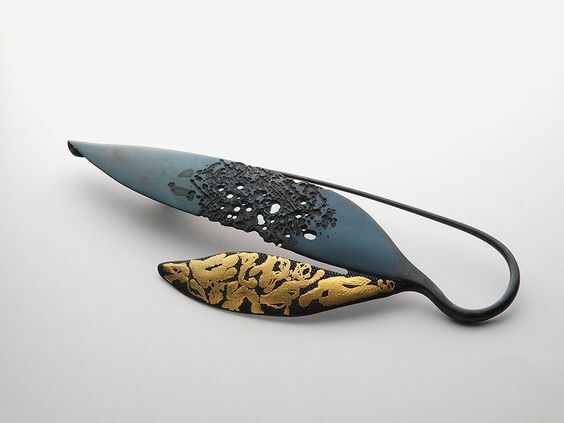 By using forging, chasing, etching and inlaying techniques she gives each individual object its own unique signature. »Born in Stettin, in that time Germany, today Poland. Sibylle Umlauf lives and works in Berlin and Italy. 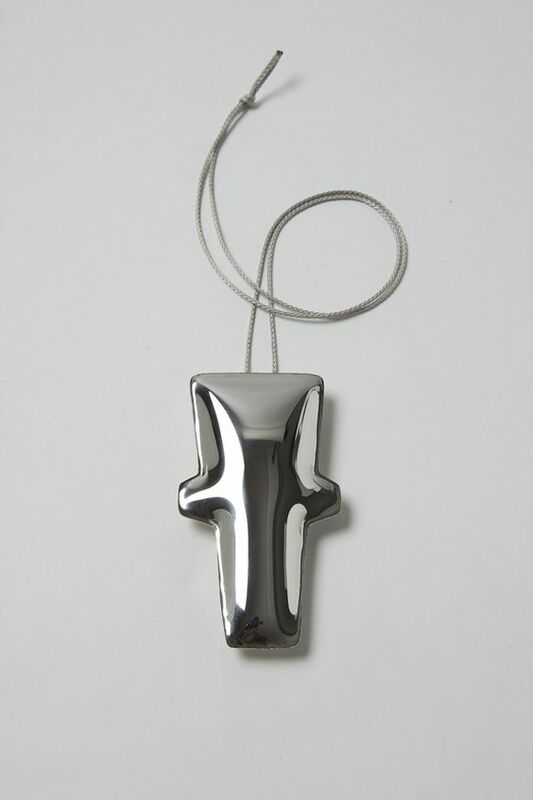 She studied goldsmithing at the Fachschule für das Edelmetall Schwaebisch Gmünd and Fine Arts at the Hochschule für Bildende Künste Berlin from 1964 – 1970. She taught Arts at the Fachhochschule für Sozialpädagogik Berlin until 1990. Artists: Erik Tidäng, Lena Jerström, Tobias Birgersson, Klara Eriksson, Petronella Eriksson, Pernilla Sylwan. Group exhibition, PY2017 winners: Fang Jin Yeh, Qian Wang, Shachar Cohen, Xiaodai Huang. The jury composed by artists, curators, bloggers and art expertises finally selected 4 young artists: Fang Jin Yeh, Taiwan; Qian Wang, China; Shachar Cohen, Israel / Germany; Xiaodai Huang, China. The jury assigned further special mentions to: Giulia Savino, Italy; Heng Lee, Taiwan; Niklas Link, Germany; Holland Houdek, USA / Italy; Marion Delarue, France. New Iranian & Persian Jewelry. Group exhibition from the Mahe Mehr Institute Teheran. 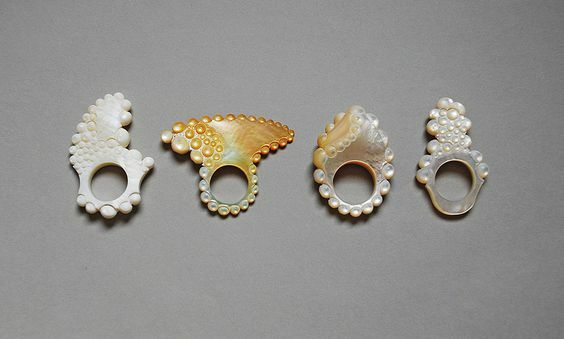 There is a material, which they are both working with and fascinated by: Mother of Pearl or like the Spanish say: Nácar. 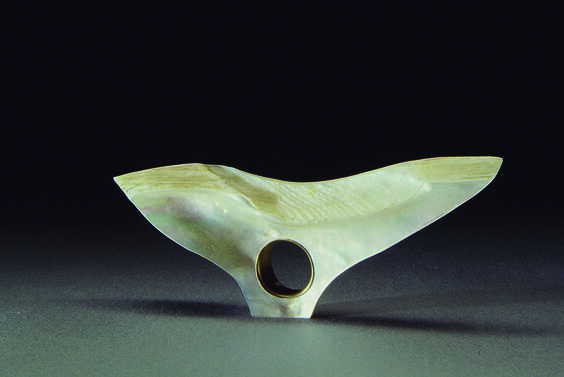 Danni and Tasso will present a variation of their work made by different generations in different periods, with their own view on the material mother of pearl. Shahrzad Aliyari. 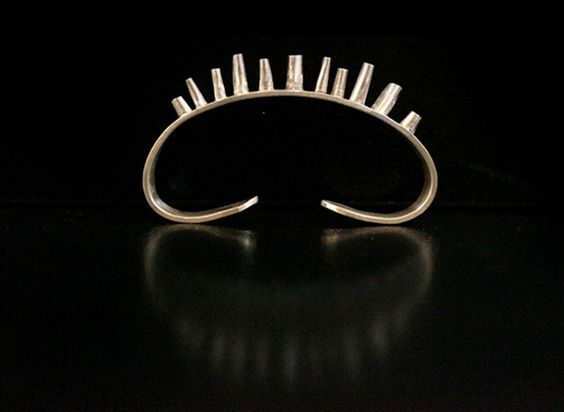 Bracelet: Shahryar, 2015. Silver. Group exhibition, PY2017 winners: Fang Jin Yeh, Qian Wang, Shachar Cohen, Xiaodai Huang.